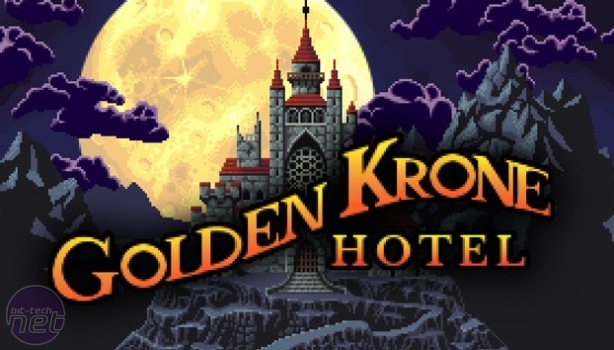 I've always had a soft spot in my heart for roguelikes, and Golden Krone Hotel isn't the first or the last of its genre that I'll fall in love with. However, where Golden Krone Hotel excels is in its portrayal of the eternal fight between good and evil. 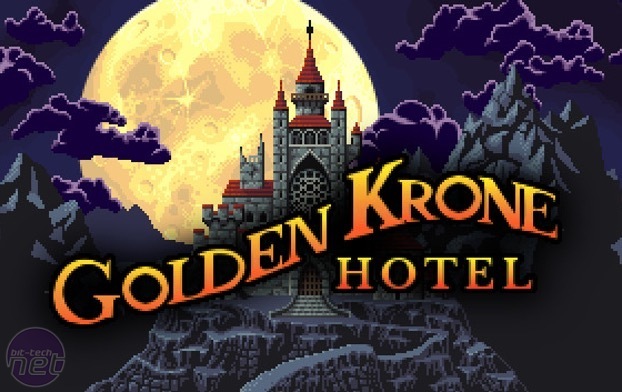 See, the first time you head into the Golden Krone Hotel, you'll be stepping up to the plate to hunt some vampires. 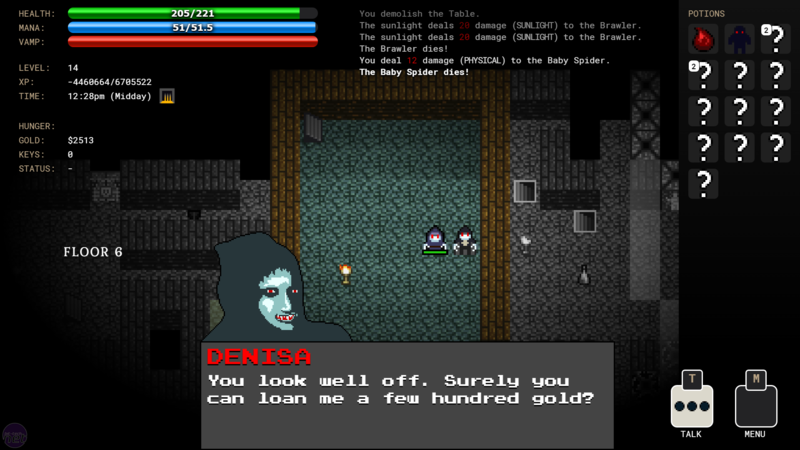 As you venture up the floors of the Gothic hotel, you'll kill vampires and all other manner of nasty creatures. But the real genius is that, over time, you become closer to turning into a vampire yourself. A bar below your health and mana tells you how close you're coming to growing a big ol' pair of fangs, and you'll need to chug regular potions to maintain human form. 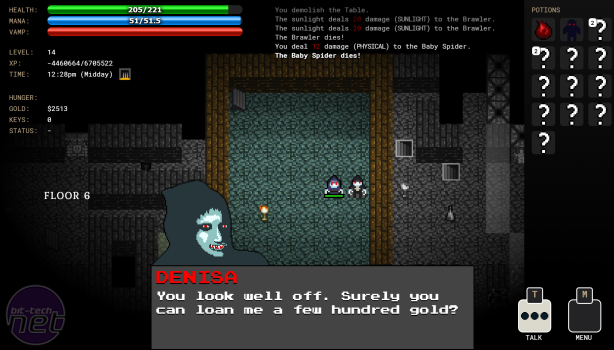 Fail to keep this up, and you'll turn into a vampire yourself, and a whole bunch of new mechanics come into play: Vampires are your friend now, and the sunbeams perfectly modelled to cut through the gloom of the hotel will now set you alight. 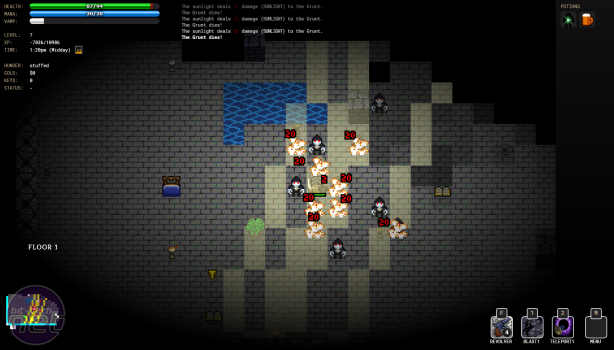 You'll be unable to cast spells or use your gun, and apparently vampires can't read, so reading the lore is out, too. Those sunbeams are interesting, and the way they help or hinder you depending on what form you're inhabiting is a clever duality - the lights that kept you safe just a few turns earlier could burn you to a crisp as a vampire. Extra complications come with other forms you can take, although at this stage I've only played as a werewolf, which heals in the moonlight. 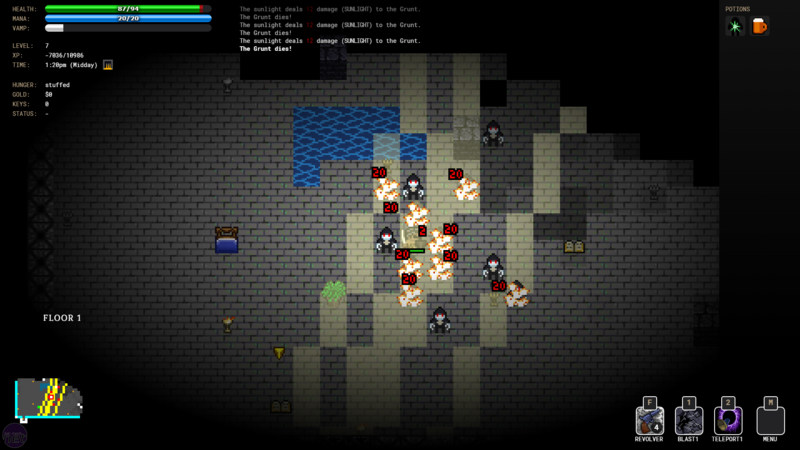 It's still a roguelike in the purest sense. When you pick up a potion, you're clueless as to what it does, and you'll have to guzzle it to find out exactly what it does. It might be Ale to keep your strength up, blood to turn you into a vampire, or a teleportation potion that'll slingshot you somewhere else on the same floor. 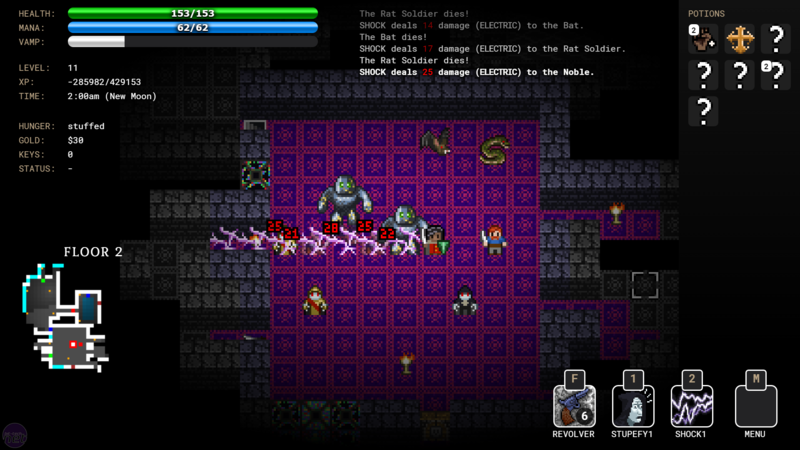 That said, in a few ways it reinvents what you expect from a roguelike too: There's no inventory system, with your character — as a human — having access to armour, a shield, a sword, and a revolver. If you pick up a better version, you'll automatically upgrade, but if it's useless to you, you'll turn it into cash. It's a good game, but I'm only recommending it here on the premise of being a good vampire game. There's something poetic about fighting monsters for so long that you become one. It's also an interesting and unique challenge to spend 25 minutes levelling a sorcerer to then be overcome by your dark side and stripped of your ability to get your magic on. Later, you might get a potion allowing you to switch back to your human form, regaining your powers but losing any access to whatever vampiric strengths you might have earned by then. 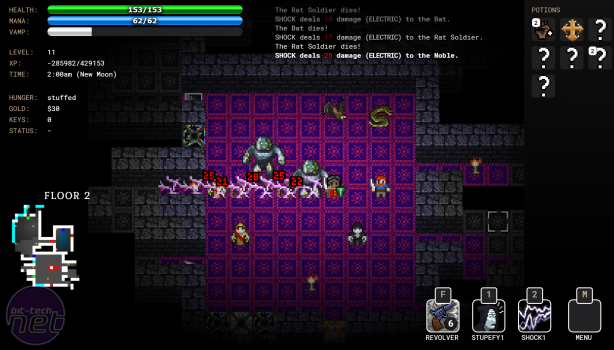 Golden Krone Hotel, then: great roguelike; fantastic vampire-'em-up. Give it a go. Darkest Dungeon is a stylish, innovative roguelike that is simply too gruelling for its own good.